This charming detached garage with efficiency apartment will fit in a number of settings, and no detail has been overlooked. 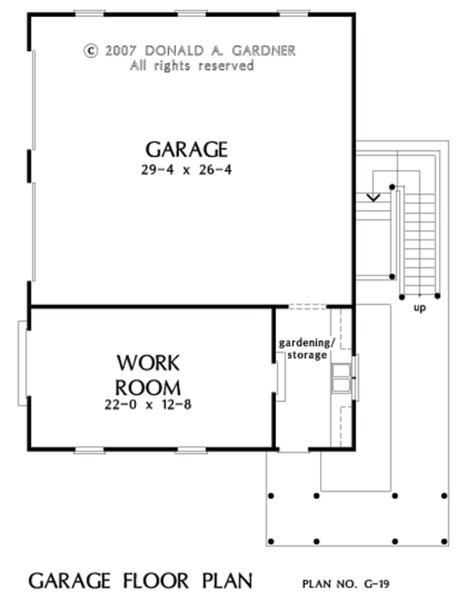 Two garage bays on the main level offer storage for cars, and the workroom is brightened by a double French door. The gardening/storage space features a large counter with work sink and cabinets above. A covered porch leads to the staircase to the upper residence area. Designed with an open plan, it features a large kitchen and living/dining area and a separate bedroom with twin closets. A full-size bath complete with linen closet finishes the space. Other Storage: 302 Sq. 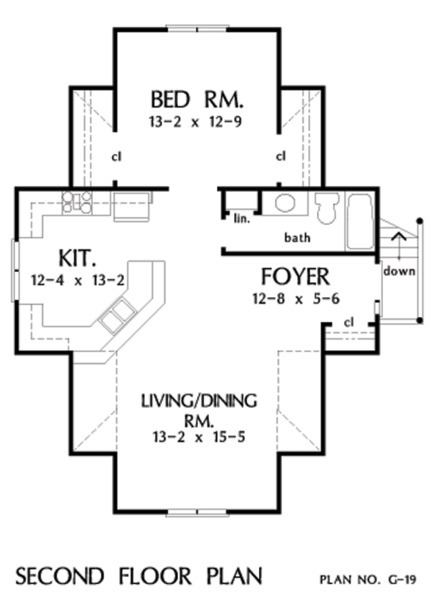 Ft.
House Dimensions: 30' 0" x 40' 0"
Bedroom #1 : 13' 2" x 12' 9" x 8' 7"
Dining Room : 13' 2" x 15' 5" x 8' 7"
Foyer : 12' 8" x 5' 6" x 8' 7"
Garage : 29' 4" x 26' 4" x 0' 0"
Kitchen : 12' 4" x 13' 2" x 8' 7"
Other : 22' 0" x 12' 8" x 9' 0"
Other #2 : 7' 0" x 12' 8" x 9' 0"